Labour has suffered losses in Wales during the council elections but the Conservatives have failed to make as many gains as expected. But it held seven councils including Cardiff , Swansea and Newport. In Monmouthshire, however, the Tories won control outright and Plaid Cymru kept its majority in Gwynedd. Labour has long dominated local government in Wales but its Welsh leader and First Minister Carwyn Jones admitted that it had been a mixed night for the party. Labour leader Jeremy Corbyn congratulated the Welsh party for “defying the pundits”. But Welsh Conservatives Leader Andrew RT Davies insisted it had been a “good night” for the Tories. “We’ve gained overall control of Monmouth, made huge strides in the Vale of Glamorgan, doubled our representation in Wrexham, and reached double digits right in the backyard of the first minister [in Bridgend],” he said. Meanwhile, Plaid Cymru leader Leanne Wood said the party had “broken new ground”. But Welsh Liberal Democrats party leader Mark Williams admitted the “process of rebuilding our party will take time”. Gains for the Tories in Wales have been more limited than across the border in England. The Conservatives had targeted the Vale of Glamorgan but the council remains with no party in overall control, although the Tories are the largest group. In Denbighshire, they also became the largest party, with 16 seats, overtaking Labour – but no party gained an overall majority. Labour’s results in Swansea and Cardiff are better than expected. So who deserves the credit? 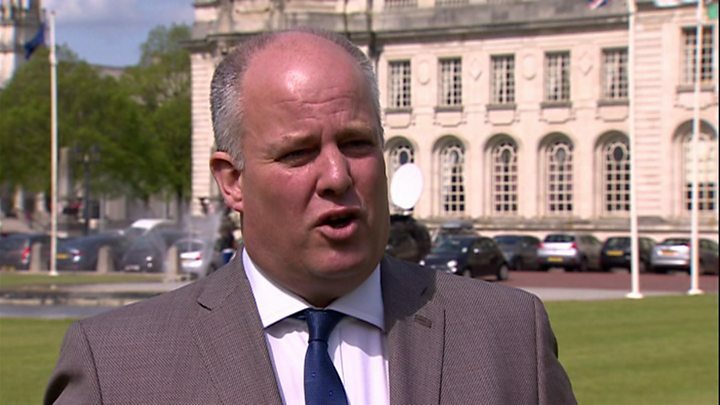 Stephen Kinnock, a critic of Jeremy Corbyn, hails the leadership of Welsh Labour’s “fantastic First Minister” Carwyn Jones. Meanwhile, Mr Corbyn’s loyal shadow chancellor, John McDonnell, links success in Cardiff to Mr Corbyn’s recent visit there. Mr McDonnell neglects to mention Labour lost all four seats in Whitchurch, the ward Mr Corbyn visited, to the Conservatives. It is a mixed picture, says Labour. Trouble is, an opposition party hoping to form the next UK government should hope for a lot, lot better than that. For Labour, the loss of overall control in Bridgend will hurt as it is the assembly seat held by Carwyn Jones. Bridgend had been targeted by the Tories for the general election and Prime Minister Theresa May visited the area recently. They picked up 10 seats on the council, taking their total to 11. There was better news in Swansea for Labour where the council remains in the party’s hands, taking 48 out of the 72 seats. 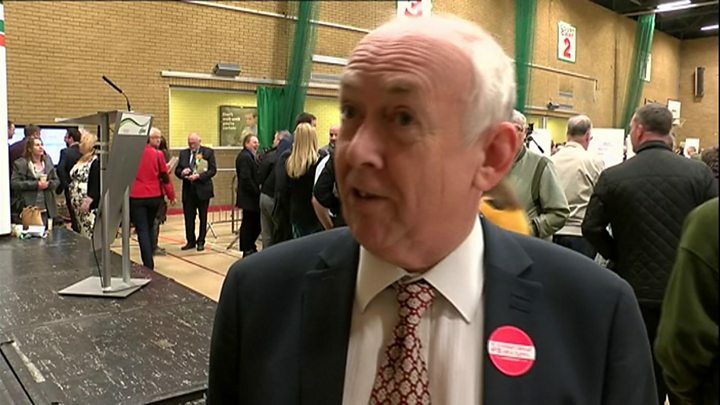 Labour also held Cardiff, Newport, Rhondda Cynon Taf, Caerphilly, Torfaen and Neath Port Talbot – the latter of which saw Plaid Cymru gain seven seats. On a good night for the independents, they re-claimed Blaenau Gwent after losing control to Labour five years ago. Independents won the majority of seats in Pembrokeshire, however, it seems no party will have overall control of the council. 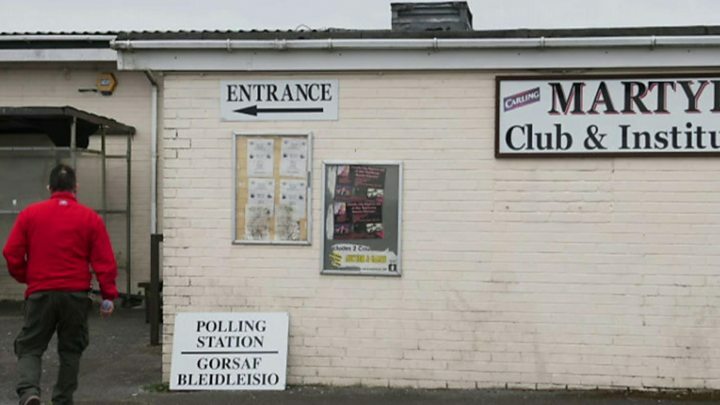 Independents are leading in Merthyr, however, three seats have yet to be decided in Cyfarthfa following the death of a candidate. People there will vote on 8 June. In Gwynedd, Plaid Cymru increased its majority, while in Powys, no party had overall control after independents failed to keep a majority. There is also no party in overall control in Carmarthenshire, although Plaid Cymru has the largest number of seats. Similarly, Anglesey remains a council with no party in overall control, although Plaid Cymru overtook independents to be the largest group in the authority. Conwy will also remain an authority with no party in overall control, with 20 independents holding the most seats. Flintshire council, which was the first to return all results, had Labour winning the most seats but was short of a majority. In Wrexham, independents had the most seats but not a majority while Labour’s presence on the council has been halved to 11. At the last elections, Labour had held 580 seats and had outright control of 10 of the 22 local authorities. Although the results should be known by Friday evening, unless a party wins an overall majority of seats on a council, it may be days or even weeks before the political make-up of the administration or cabinet to run the authority is agreed. A total of 1,159 seats have been fought in the 22 local authorities. 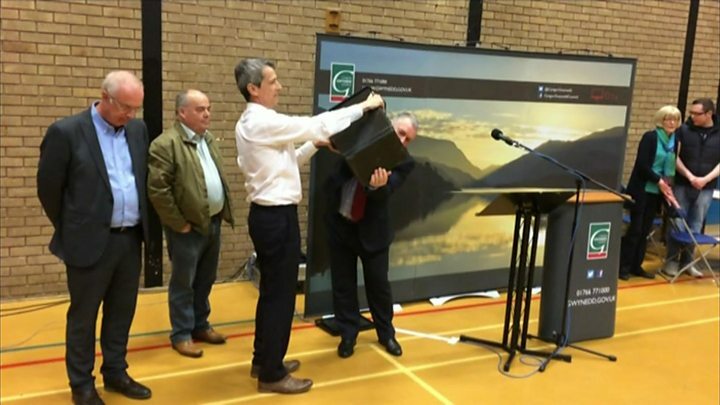 Nearly 100 candidates have already been returned unopposed, while one ward in Powys attracted no candidates. Elections have also taken place for town and community councils. The polls took place five weeks before the UK general election on 8 June.